Evenings by appointment; Closed on Holidays and Sunday. 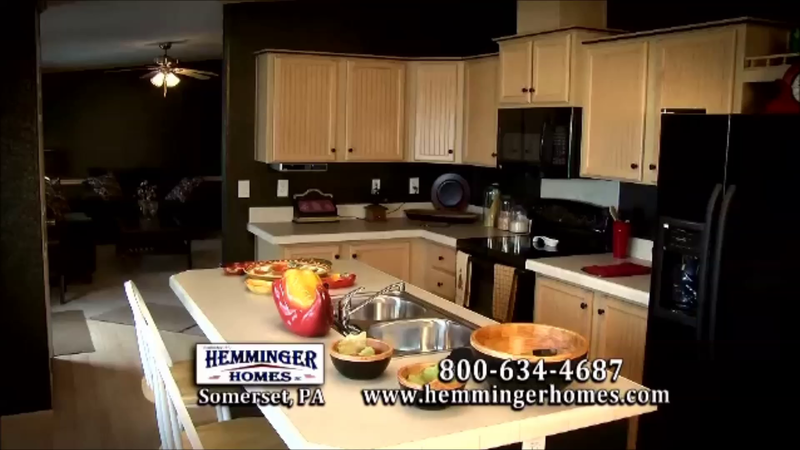 Please tour our Hemminger Homes website to see what our company offers today in manufactured housing. Every home we build is guaranteed to meet a housing code before we are allowed to sell it to you. We are a general contractor that will build everything for your new home from the excavation to completion inside and out. Today's homes are made to your specifications and are designed to meet your housing needs. We sell modular and manufactured homes. Some of the styles are ranch, sectional, singlewide, two story, cape, split levels and chalets. Designing your floor plan is just the start. Choices of interior & exterior features are available. 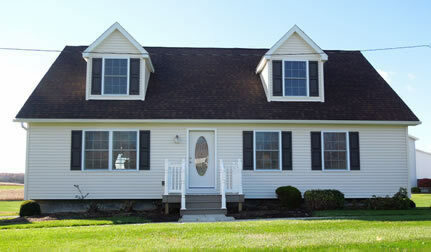 These include decks, garages, fireplaces, appliances, whirlpools, and much more. There's more customization when you select your color choices for inside and out. You choose siding, carpet, countertops, appliances, moldings, and more. Click the photo tabs above for more information about Hemminger Homes Inc in the areas that you are interested in. We hope to be meeting with you soon in person as you tour our display homes. We look forward to guiding you through your home purchase decisions too. Our team will also help you through finance, construction, and service after completion, if needed. Thank You for visiting our web site. We look forward to meeting all of you in person at our display home center. HEMMINGER HOMES INC PRIVACY NOTICE: We do not disclose any nonpublic information about you as our customer or former customer. For a full copy of this privacy notice you can contact us at the address, phone number or e-mail address listed above.